Welcome to my stop of the Enigma blog tour! Today I have a review for you, as well as an awesome giveaway! I read Anomaly at some point last year, and I've been excited for Enigma ever since! 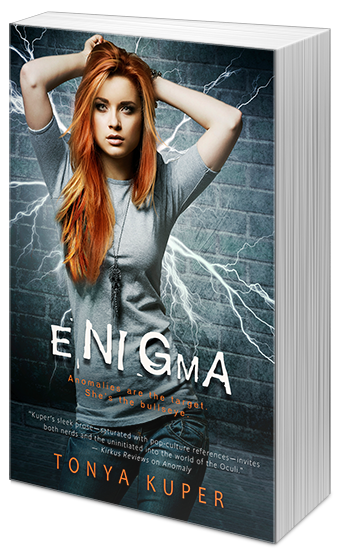 I picked up Enigma and I just devoured it! I started it one evening, and finished it the next morning! I was excited to get back into Josie and Reid's world. The beginning was a little rocky as I tried to remember all the terminology, but otherwise it was off to a great start. 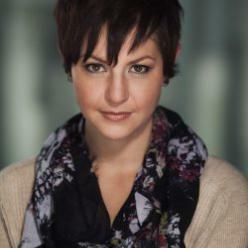 While Josie and Reid share the main character role, Josie really shines as the lead. She has powers beyond imagination, quite literally, and isn't afraid to use them. I also loved seeing how much Josie cares about her family. Her little brother Eli is one of the most important people in the world to her, and it's touching to see how much she cares about him. Reid and Josie have a wonderful relationship. If you've read the first book, you know that they've both liked each other since they were kids. Reid was best friends with Josie's older brother, but situations drove them apart. But now they are back in each other's lives, and making the best of it. It was always fun to have the two of them in a room together, and I'm a big fan of the smooching too. The series takes place in our world. This gives it a nice grounding, while also adding in a sci-fi element. Also, Josie is a huge nerd, and that adds to the world. She's constantly making Star Wars, Star Trek, and Marvel nods. Being an epic fangirl myself, it was super fun to see an awesome nerd portrayed in a book. While Josie's segment of the Oculi world is small, I could feel the author hinting at a larger world. Be it another sequel or a spin-off, I would love to see and learn more about the world of Oculi and Anomalies. To sum it up: The Matrix meets Divergent in contemporary high school. Intrigue, action, romance with lots of hotties, and (understandable) quantum physics theories. 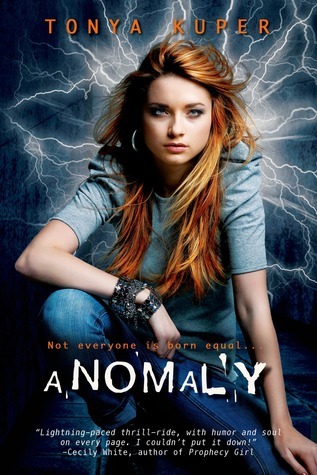 Tonya Kuper is the author of ANOMALY, the first in the Schrodinger's Consortium Series, a young adult science fiction trilogy, released November 4, 2014 by Entangled Teen. She fell for Young Adult lit while earning her Masters degree in Reading Education. She's a mom to two awesome boys, an alt music junkie, a Star Wars nerd, and in love with Sherlock. I'm sorry, I don't know how to fix that! I would recommend contacting either Facebook or Google for support, and if they can't help on your end, I'll contact them and see if they can help on mine.